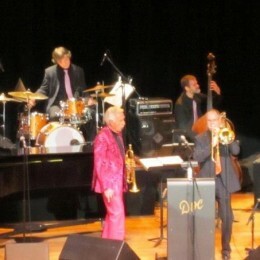 I just returned from a 7 day midwest tour with Doc Severinsen. This is the second tour I’ve had the pleasure of playing lead trombone for Doc. As an extra bonus, world class saxophonist and Tonight Show alum, Ernie Watts was on the band as well. What a treat to listen to him and Doc every night. It looks like we may have some more dates to look forward to in the fall.